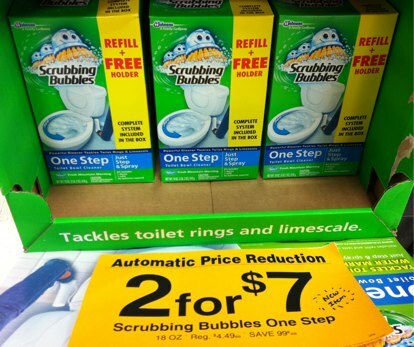 - $1 off any Toilet cleaning product. - $1 off bathroom and cleaning products. Note : For those who don't know about this cleaning product. You can watch how scrubbing bubbles Toilet Cleaning Gel Works here. Available at most grocery & retail stores.